Your operation can benefit from analytical cycles that are 10 to 50 times faster than traditional GCs for a small monthly payment instead of a traditional capital outlay. Here are a few highlights of our new program. 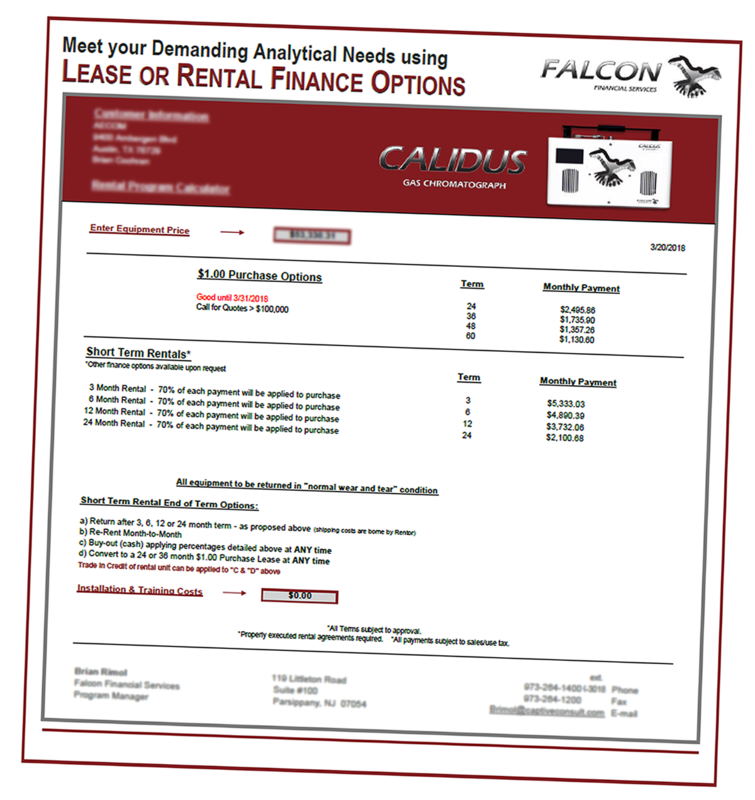 Same benefits as many other lease programs . . .
End-of-lease options . . . Customer oriented programs make the process fast and easy . . .